While we at the Riot take some time off to rest and catch up on our reading, we’re re-running some of our favorite posts from the last several months. Enjoy our highlight reel, and we’ll be back with new stuff on Monday, January 5th. This post originally ran November 26, 2014. They’re comingggg. Everyone’s most-anticipated and most-dreaded holidays are right around the corner. And, people, we need to be ready. Yes, I’m still single. / Yes, I kept my maiden name. Oh, I hadn’t heard you were back together. / Oh, I’m sorry you two still aren’t speaking. No, I haven’t forgotten that my biological clock is ticking. / No, my child hasn’t been baptized. Yes, your international spoon collection is lovely. / Yes, I did hear his parole is up. Here, I’ve put together a twelve-step program of sorts. These useful books will help you keep a healthy mind and body throughout the holiday season while dealing with family, food, and finances. We can do this. 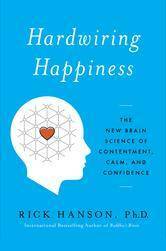 Hardwiring Happiness: The New Brain Science of Contentment, Calm, and Confidence by Rick Hanson: I don’t know about you, but I wouldn’t mind some contentment and calm in between carving the turkey and singing Deck the Halls. Dr. Hanson, take me away! Daring Greatly: How the Courage to Be Vulnerable Transforms the Way We Live, Love, Parent, and Lead by Brené Brown: Embrace imperfection and vulnerability during Thanksgiving, Christmas, Hanukkah, Kwanzaa, or any time of year. 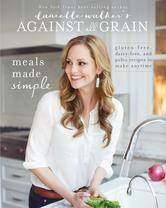 Danielle Walker’s Against All Grain: Meals Made Simple by Danielle Walker: With recipes that are gluten-free, dairy-free, and Paleo-friendly (but still delicious), you’ll feel better about what you ate yesterday. Superfood Smoothies: 100 Delicious, Energizing & Nutrient-Dense Recipes by Julie Morris: Have a healthy smoothie in the morning and everything else will balance out, right? 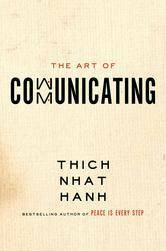 The Art of Communicating by Thich Nhat Hanh: Buddhist monk Thich Nhat Hanh is respected worldwide for his teachings on peace and happiness. If he can’t tell you how to have a pleasant conversation with Aunt Edna, who can? The Book of New Family Traditions by Meg Cox: Adding a new ritual or two can reenergize your holidays. A few years ago, my family started making gingerbread houses together at Christmastime, and the results are always amazing and hilarious. MONEY Master the Game: 7 Simple Steps to Financial Freedom by Tony Robbins: Look, I don’t know anything about money. I just know that the holidays make my credit card cry. Maybe this newly-published bestseller from guru-of-everything Tony Robbins will help? 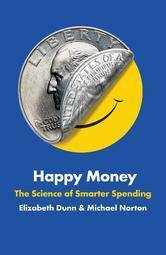 Happy Money: The Science of Happier Spending by Elizabeth Dunn and Michael Norton: In this surprisingly fun read, the authors use the latest scientific research to uncover how money can buy happiness, if you spend it the right way. Time for Bed, Fred! 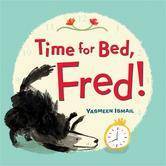 by Yasmeen Ismail: Whether they’re your own or someone else’s, the holidays can turn any kid into a handful—especially if they’re running on nothing but pumpkin pie and candy canes. But if you can’t beat ’em, read to ’em. Time for Bed, Fred! was on New York Times’s Best Illustrated Books list this year. Diary of a Wimpy Kid: The Long Haul by Jeff Kinney: Buy your nephew the new DOAWK book and you might get a reputation as the cool aunt or uncle. The popular series is geared toward third- through seventh-graders. Cocktails for the Holidays by the editors of Imbibe Magazine. This recipe collection is essentially telling you to drink throughout the months of November and December. Done and done. Yes Please by Amy Poehler: This is the book I’m reading to help me take the holidays one day at a time. I can feel the tinsel-covered chaos melting away already. What titles are you going to pack in your suitcase or keep on your nightstand?